I began my studies in the public schools of Anchorage Alaska, near my place of birth-Fairbanks. (Anchorage, Alaska has a strong orchestra program in the public schools-- just like Texas, but not quite as massive.) After graduating from high school, I continued my violin performance studies at the University of Alaska, Anchorage and three years later, transferred to the University of North Texas, completing my bachelors degree in Music Theory and Composition May, 1999. I have straddled the fence in several ways --performing violin music within classical, contemporary, and ethnic realms -- and expanding my involvement in musical activities beyond performance, and into the composition of music. On the classical side, I performed many years in The Anchorage Symphony, Anchorage Opera, University of Alaska, Anchorage Sinfonia (serving one year as co-concertmaster), Camarata String Quartet, substituted with the Plano Symphony, and free-lanced in several other string quartets in the Dallas-Fw area, intermittently running my own string quartet business providing wedding music as the leaders of some of the string quartets I played in would retire from the business. On the contemporary and folk side, I’ve performed with several local bands. My experiences ranging from full-time work in a world music band, weekend-work with a country cover-tunes band, and occasional collaborations with a modern folk music artist. One of the most exciting things about the work I did with those groups, was putting my compositional skills to use. At that time I was feeling great pride in my college specialization, as I was creating my own solos and beginning some rudimentary ventures into improvisation. With this variety in my performance background, I can identify and respond to my students who develop or have current interests in any of these directions. During the past nineteen years, I have taught violin & viola to students ranging in age from 4 years and into adulthood. Initially, my private violin and viola lessons were hosted in service of the middle and high school orchestras of the school districts of Carrollton & Lewisville, Texas. I have helped many orchestra students develop their playing and meet the demands of their school orchestra programs as well as other honors orchestras in the area such as the UIL Region Orchestra, and Greater Dallas Youth Orchestra. An orchestra director wrote a recommendation letter that describes the contribution made to her orchestra students and their program. Inspired by the progress and success of my students in their school orchestra programs, and envisioning a way in which I can make an even greater impact in the second part of my teaching career, I have completed many classes of specialized training for the Suzuki Violin Method for books 1--6. This training has enabled me to deepen my service to older students, and to begin teaching younger students (as young as four years old) in a way that is age appropriate, and yet effective. I love to serve families who value instrumental music and who often discover that studying a musical instrument can have a dramatic positive impact on their childs learning, self-concept, and social development. I appreciate the fact that parents are involved in the Suzuki course of study. And they are able to observe lessons and follow through as effective practice partners with their children. 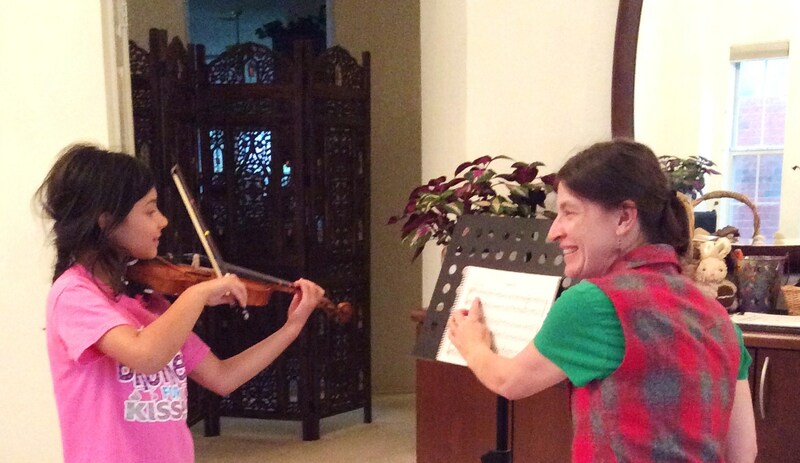 For more about why I became a Suzuki Violin Teacher, please visit the bottom of the page "about Suzuki Violin"
I asked parents of two of my very first Suzuki students to write a parent testimonial about my service and I feel very honored by their response. 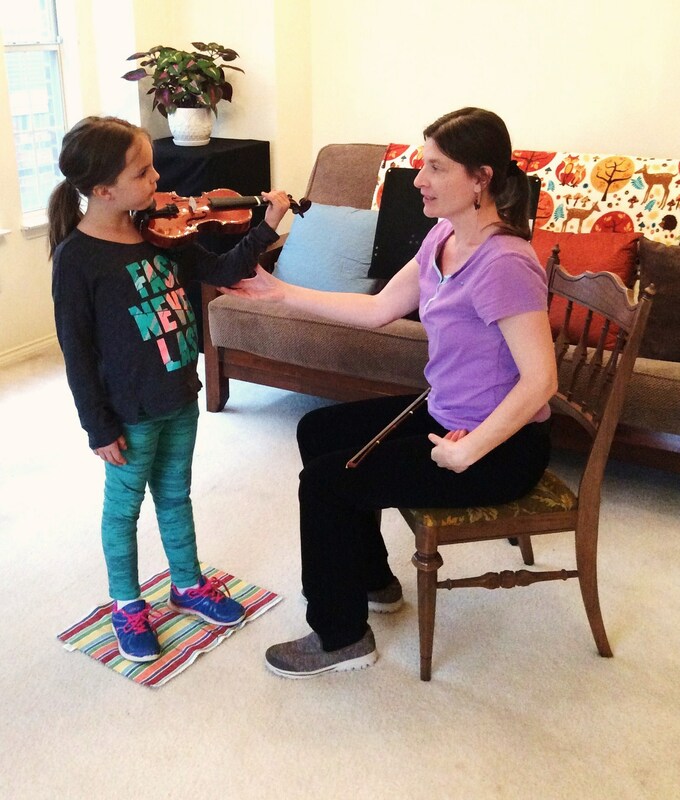 I hope you will view their testimonials as well as the page of this website which gives you information about the founder of the method and what to expect for parents and students participating in the Suzuki Violin Method. If you wish to inquire about beginning either traditional or Suzuki violin lessons with me at my Plano, Texas location - please email , or you can call me directly at (940)205-7309!